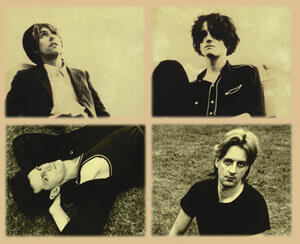 Words On Music is proud to reissue The Lucy Show's long out-of-print second album from 1986. Mania injects gorgeous, poignant melodies onto a post-punk soundscape, ricocheting with shimmering guitars from the production of the legendary John Leckie (New Order, Stone Roses, Radiohead, Trashcan Sinatras, XTC, Felt, The Fall, Ride, Verve). Words On Music's re-release of Mania remasters all 10 album tracks, plus seven additional bonus tracks (five of which have never been commercially available). The re-release also includes the video to their college radio hit "A Million Things." Mania begins with the swirling "The Land and the Life"  a captivating, hypnotic piece that layers sugar-sweet Beach Boys harmonies on top of reverb-drenched guitars. The two-minute song is a perfect pop confection  short, sweet, and entirely addictive. Singer and guitarist Mark Bandola's recurring riffs on "View From the Outside" keep good company with R.E.M. 's Lifes Rich Pagaent, but the song ultimately distances itself from Athens rock by its gradual addition of dizzying guitars and the layers upon layers of vocals at the coda that spin by like passing tornados. The song closes with a series of serene bell strikes, which eventually segue into "Sojourn's End." In "Sojourn's End" and "Sad September" singer and bassist Rob Vandeven has written two compositions that recall John Lennon's work on Rubber Soul. Like an up-tempo "Nowhere Man," the former boasts verses framed by well-placed harmonica wails and a chorus with an endless array of hooks. Leckie's timeless, exquisite production is on full display (he also engineered Lennon's 1970 Plastic Ono Band record), carefully melting Vandeven's breezy voice with the song's warm instrumental arrangements. As Bandola's ("If I Needed Someone") acoustic guitar melody fades at the song's close, the bells continue to strike, ushering in "Sad September"  Vandeven's definitive ballad. The elegant song offers a bittersweet palette of brushed drums, sweeping keys, and plaintive acoustic picking in which every wistful syllable signals the longing for love lost. "A Million Things" scored The Lucy Show a major college radio hit in the States, and its video received significant MTV airplay. The song features a skillful collection of harmonica, organs, and a rare guitar solo during the bridge. Bandola's tenor has never sounded so poised  playing off the driving bass in the verse and his own backing vocals during the chorus. "Sun and Moon" is a brisk number, and most resembles The Lucy Show's stellar debut album ...undone (see "Resistance"). Pulsating basslines and blistering guitars conjoin in a manner that brings to mind The Cure, sans histrionics. "Shame" presents a sleight of hand  the song offers one of Bandola's most catchy, soaring vocals, but it is not until after the melodies are well-etched into the head that one realizes the song is a actually a forceful account against the practice of Apartheid. It is this powerful juxtaposition  beautiful music with a somber message  that makes the song the perfect carrier for its more general corollary: one who indirectly reaps the benefits of wrongdoing is also culpable and ought to carry the full weight of shame. "Part of Me Now" prominently features the warmth and charming vulnerability of Bandola's voice. The song is a cautious lo-fi composition built around piano and keys in which the intimate, up-front delivery builds a direct connection with the audience (much like Bernard Sumner's voice in New Order's "All Day Long"  without the swelling electronics). Chord progressions in the verse and chorus move with such natural grace, the narrator's sincerity and credibility is all the more enhanced: "I've been hit / I've been smitten somehow / Weave your web / You've got a part of me now." "New Message," Mania's second single, closes the album on an incredible high, enhanced by the appearance of England's premier trumpeter, Roddy Lorimer (The Waterboys, Spiritualized, Blur, Pale Saints). Lorimer's "Penny Lane" melodies during the verse are outdone only by his riveting 40-second solo that appears halfway through the song and in the coda. All the while, Bandola crafts a sophisticated melody as his voice adeptly negotiates a flurry of pulsating keys, punctuated fills, and Vandeven's bounding bassline. Seven bonus tracks are added on this reissue, including five previously unreleased songs: the Mania session outtake "Civil Servant," John Leckie's original mix of "A Million Things," Mark Bandola's original basement portastudio creation of "New Message," and live versions of "Sun and Moon" and "View from the Outside." Also included are "Invitation" and "Jam in E" b-sides from the "New Message" and "A Million Things" singles respectively. Stalwarts of the London post-punk scene. A shame their career was so brief. 4 stars. A harmonius pop attack. 4 stars. A warm, poetic record. The band's skill is for subtle melodies  even at their loudest the tunes are understated and invite successive listens. 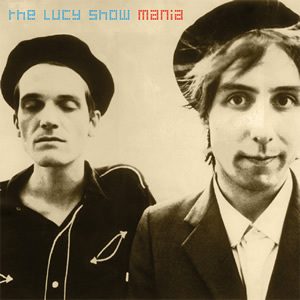 Mania by The Lucy Show is not only one of the greatest alternative albums of the 80s, but one of the greatest rock and roll albums of all time. The Lucy Show has validated the practice of reissuing records, because it holds true that something old is almost always better than something borrowed. The Lucy Show's perpetual out of print status robbed subsequent generations of inspiration and influence. Until now. Now we can all finally rediscover this ace old LP with its undertones of enchanting magic. This is a fabulous album that should not be avoided by anyone who appreciates quality 80s music such as Echo, New Order, or Jesus and Mary Chain. Re-issues can be a beautiful thing, especially when they draw attention to long-forgotten works of brilliance like this. For the younger music fan wondering what types of bands we can thank for the current wave of new wave and post-punk revivalism, this is a great asset indeed.